Flush Soffit creates clean lines with little interruption. Flush Soffit is traditionally used to finish out the eaves of a roof and as part of a roof venting system with a ridge cap. However, interior designers, builders and architects have been drawn to the low profile minimalist lines of this panel and have begun to use them for everything from ceiling panels, to wall coverings, to wainscots. With a large selection of colors and finishes, Flush Soffit can match almost any project. This buildings uses Flush Soffit in Parchment. This Flush Soffit features a V Stiffener and Perforations. This building uses Flush Soffit with Perforations in Stone. This commerical building uses Flush Soffit and Flush Wall in Stone. This gazebo uses Flush Soffit in Retro Red. This rest area uses Retro Red Flush Soffit. Suitable for exterior siding or interior liner panels. Must be installed over a solid substrate. Single rib overlap is used for siding. Protective film can be applied to panels for added protection. 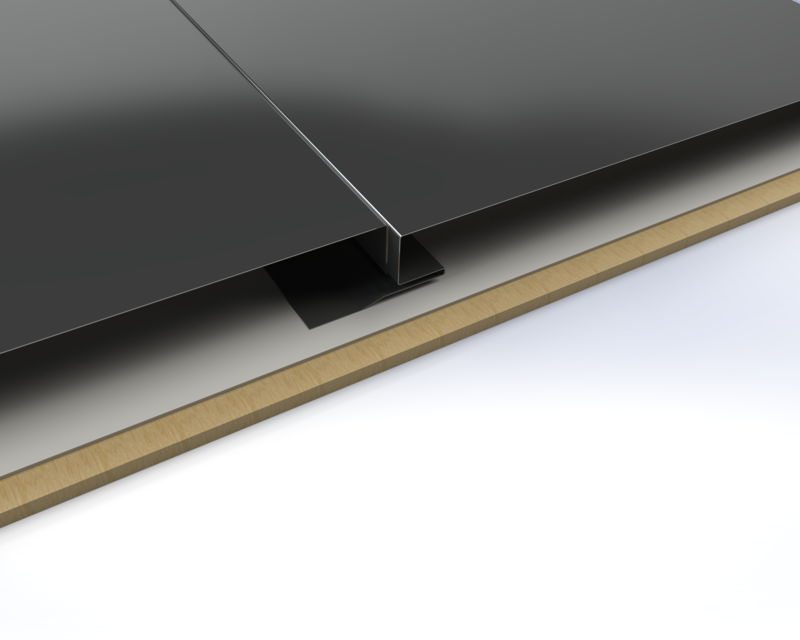 Soffit Substrate: Can be installed to wood framing, metal framing, or plywood sheathing. Reveal Width: No reveal shown, can be manufactured with up to 1" reveal between panels. Perforations: Available in perforated version with air flow data available. 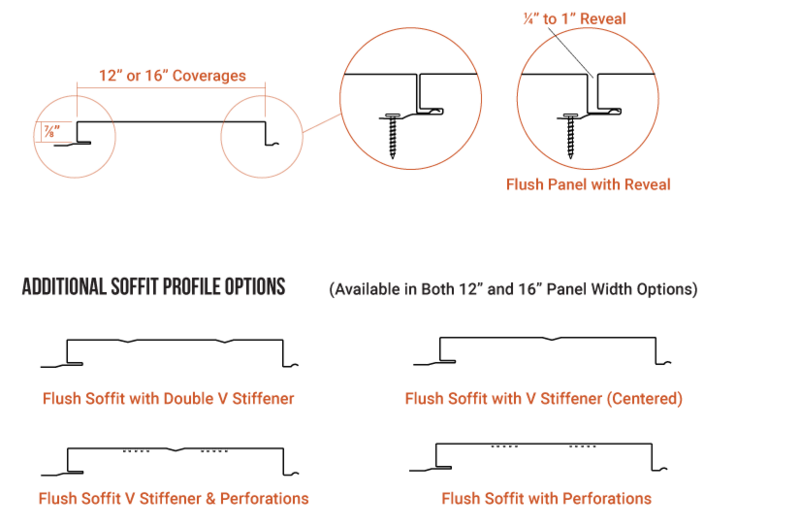 Stiffeners: Available in single v, double v, or no stiffener options.